Seaside Art Gallery is family owned & operated and is located just steps away from the beach in the Gallery Row Arts District, Nags Head’s Fine Art Destination. 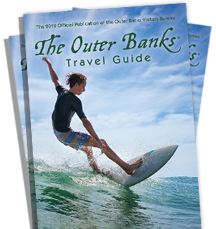 It is the Outer Banks’ first art gallery and was established by the Smith family in 1961. Seaside Art Gallery is one of the largest privately-owned galleries in the Southeast. It is known for its expansive 12-roomfuls of original fine art featuring a varying works of art including: the 19th - 21st century masters, famed animation art by Disney, Warner Brothers & Hanna Barbera, locally and internationally known artists portraying varying genre and media, antiques, sculptures, estate jewelry, and collector items. Seaside Art Gallery hosts art shows year round. One such show is the gallery’s renowned annual International Miniature Art Show, which is one of the largest miniature art shows in the nation. For current and upcoming art shows see the gallery’s website. Seaside Art Gallery specializes in original works of art, not reproductions. The authenticity of the art is fully guaranteed. Inquiries are welcome!